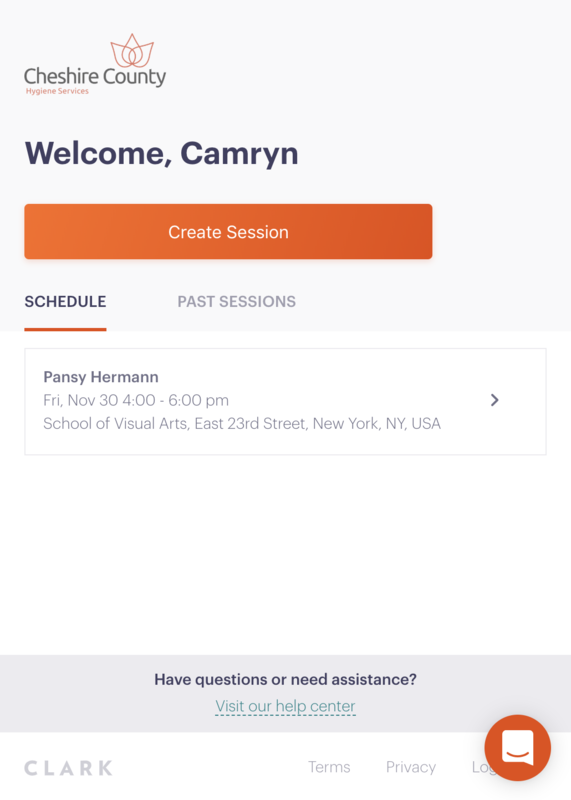 Here's how to schedule future sessions, log past ones, and stay informed with the Schedule tab. Once you've logged in, you'll see two tabs: 'Schedule' and 'Past Sessions'. Create or click on a session to view it, make edits and mark notes for you or your clients. Select 'Create Session' and fill in the information (if this is your first time, check out our Getting Started guide). Select a student and engagement, and mark a future date to schedule the session or a past date to log it. Once a scheduled session's date passes, it will be considered completed or 'logged'. Once you've filled everything in, click 'Create Session' and that's it, you're all done! If you'd like to create a repeating session, check out our guide to recurring sessions. If you need to edit a session, mark it as cancelled, or simply delete it, just click on it. 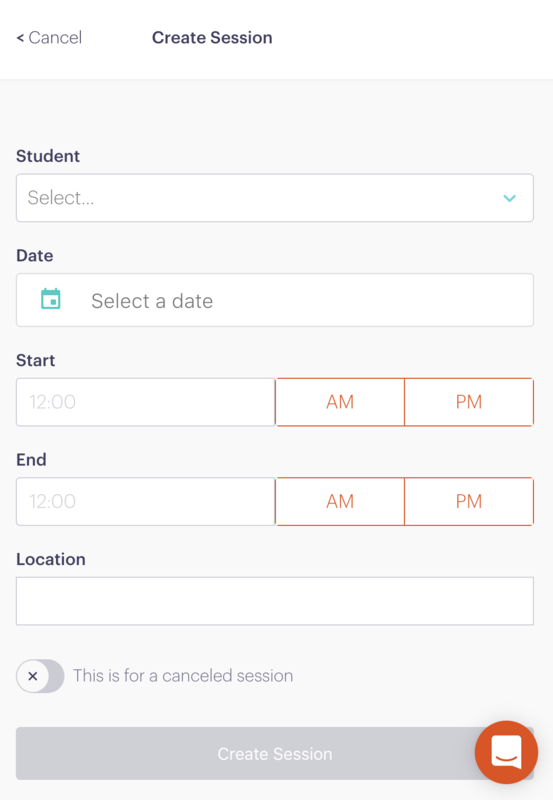 'Late Cancellation' will simply record that the session didn't actually happen; the student will still be charged as if it was a normal session. 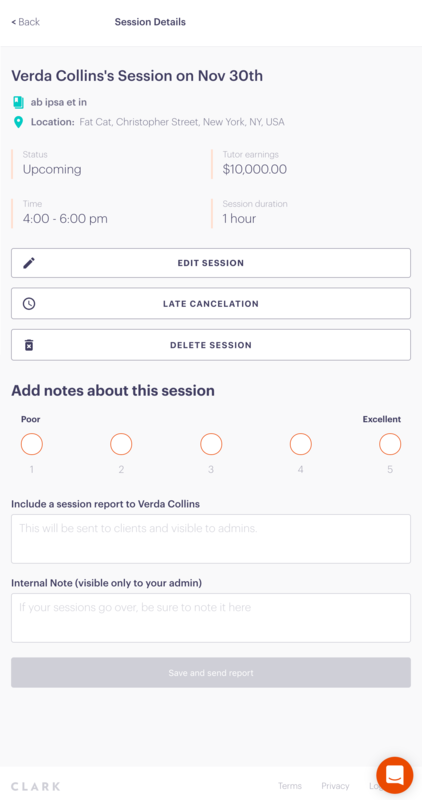 'Delete Session' will completely erase the session, and 'Edit' will allow you to mark or change notes, or change the session's details. Once you made your changes click save and you're all set! If you have any questions, contact your administrator or click on the chat bubble in the bottom right corner to speak with someone from our team!